Not only does pixelpipe let you upload photo(s) to dozens of BMNs & SMNs in a single click it is now available for hundreds of different devices ! digital cameras that work with an eye-fi SD card ! If you are a googlefan you can even connect it indirectly to your googlebuzz account and use pixelpipe with photoshop.com mobile app on your googledroid ! This entry was posted in osde and tagged android, bmn, business media network, droid, firefox, flickr, iphone, n900, nokia, photos, pixelpipe, sd, sd card, smn, social media network, symbian, uploader, wi-fi on 08/05/2010 by osde8info. Brighton Pavilion goes GREEN ! The UK now has its first ever Green Party MP thanks to the voters of Brighton Pavilion ! and many congratulations to Dr Caroline Lucas ! This entry was posted in osde and tagged brighton, green, green party, historic event, mp, parliment, politics, uk on 07/05/2010 by osde8info. and theres already a flickr bestbuy uk group ! 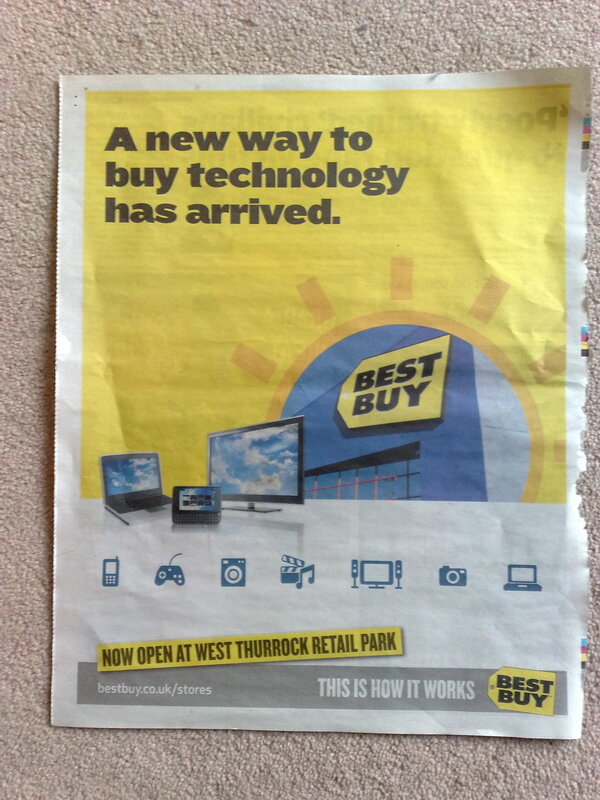 This entry was posted in osde and tagged advert, best buy, electronics, flickr, full page, shop, uk on 06/05/2010 by osde8info. 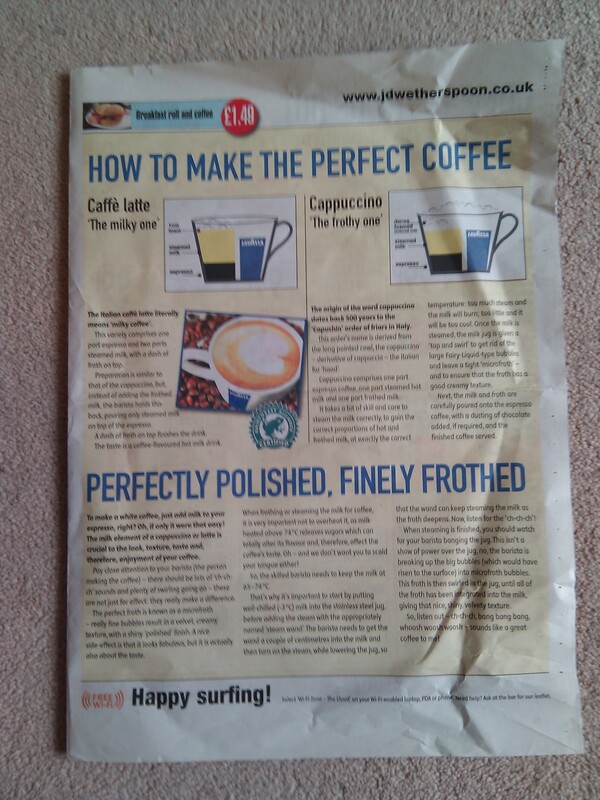 wetherspoons in the UK now do coffee and breakfast from 7am and they have printed a good explaination of the difference between their cappuccino and their latte ! 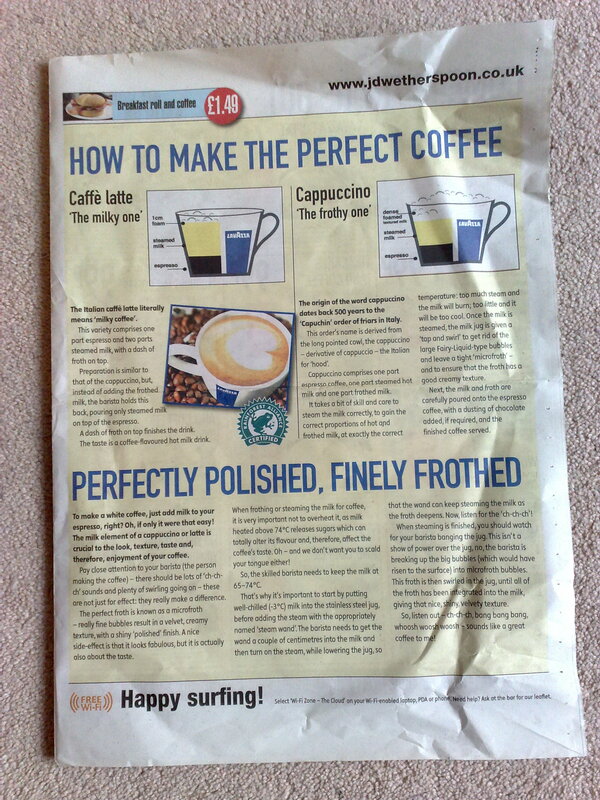 This entry was posted in osde and tagged cappucino, coffee, latte, wetherspoons on 06/05/2010 by osde8info. 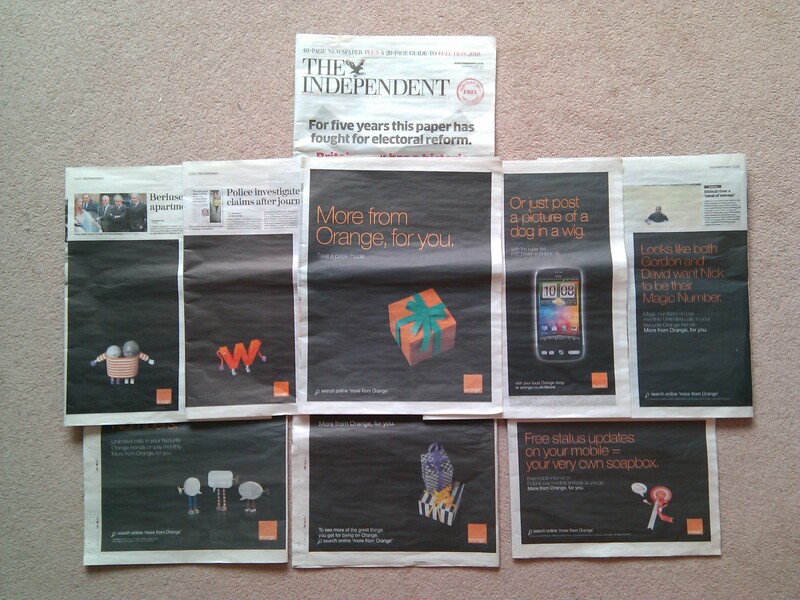 the independent orange 2010 election special ! 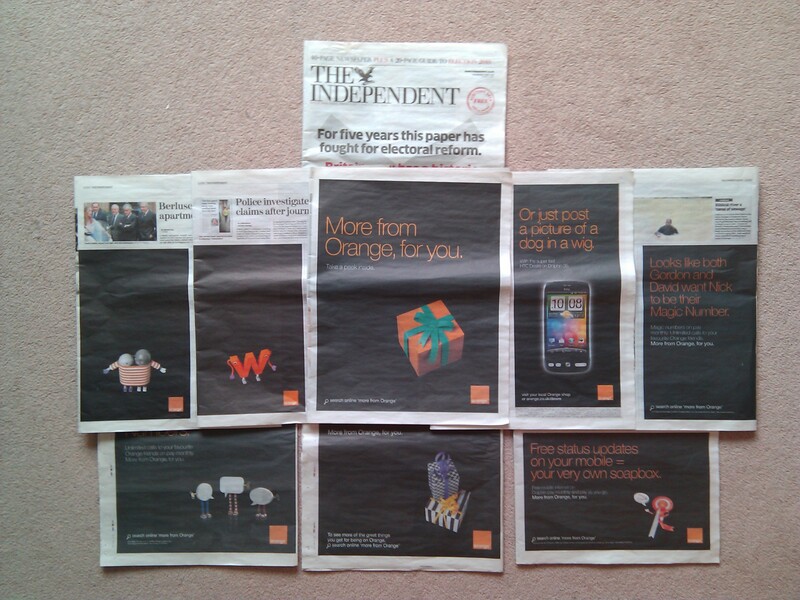 Yesterday's Independent UK 2010 election special edition newspaper was sponsored by orange ! 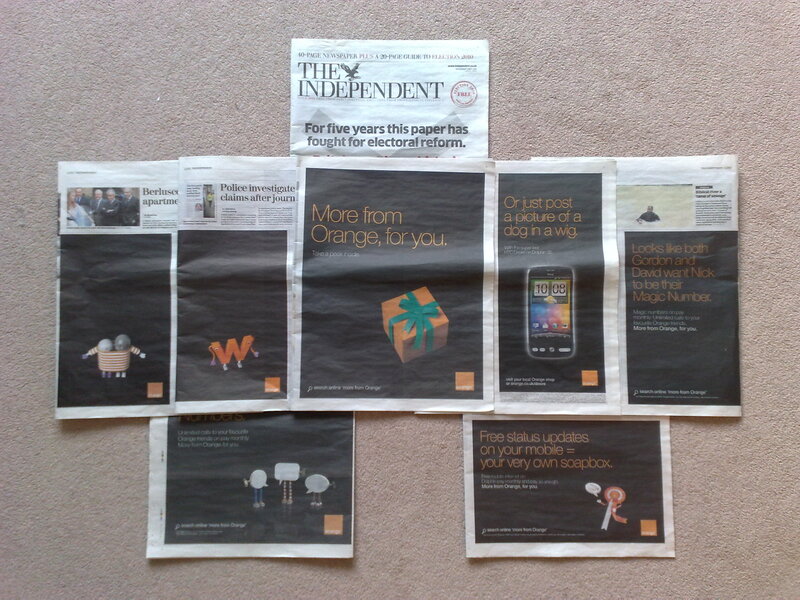 By sponsored i mean EVERYadvertisement in the paper was an orange mobile or orange android advert ! This entry was posted in osde and tagged 2010, advert, advertisement, advertising, android, election, independent, news, newspaper, orange, uk on 06/05/2010 by osde8info. If you are getting the error Error: This domain name has already been used as an alias or domain when you are trying to move or swap a Google Apps domain alias or primary domain try either waiting for at least five days or delete the existing primary account in order to create a new primary account. This entry was posted in osde and tagged alias, apps, dns, domain, email, google, mail, sysadmin on 05/05/2010 by osde8info. android mobiles are already only £20/month in the UK ! 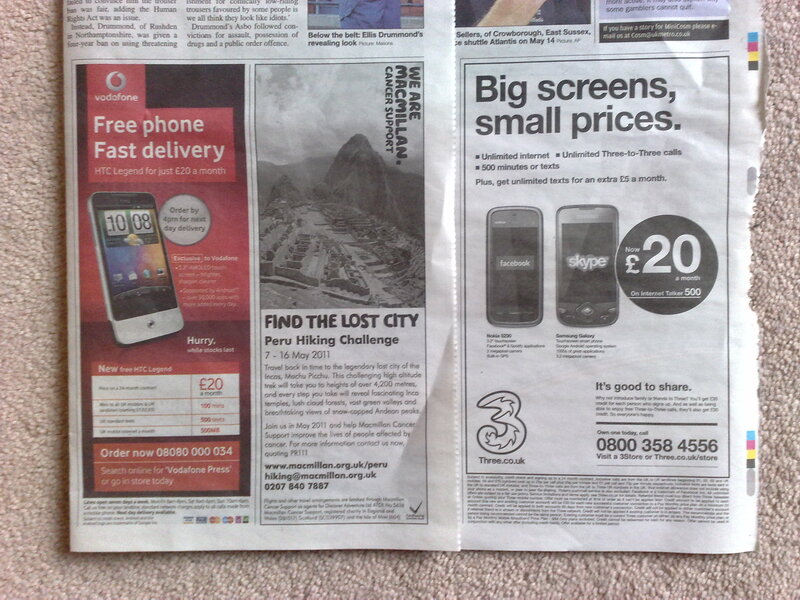 You can now get an android for only £20/month from two UK networks (three & vodafone) ! 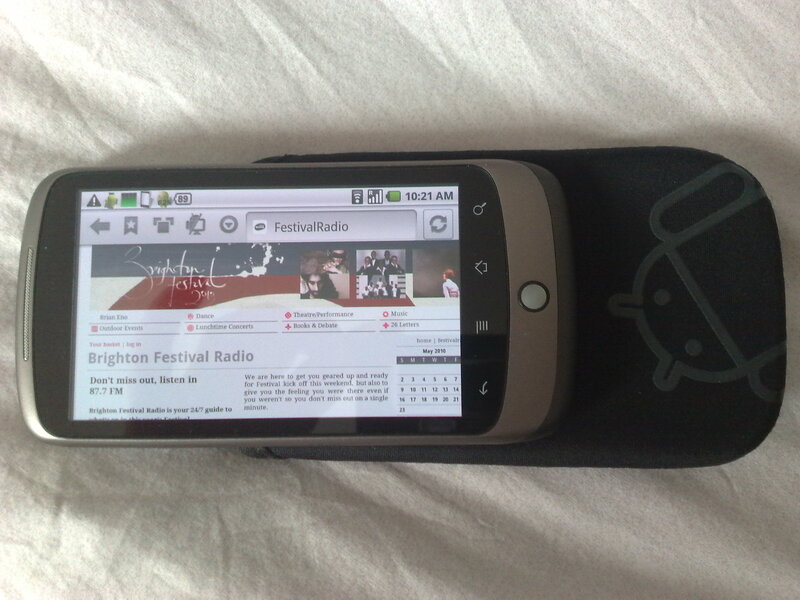 The downsides are the 24 month contract term and that they are slighter older HTC and Samsung models ! but you could always pay an extra £10-15/month if you really want the SONY 8M pixel X10 android ! This entry was posted in osde and tagged android, htc, mobile, phone, sony, three, vodafone, x10 on 05/05/2010 by osde8info. Its not too late to switch from NING to VOX ! NING will be closing ALL their free-of-charge BMNs and SMNs in Jul 2010 ! Over the last few years NING have built up one of the biggest 'free-of-charge' Business Media Network and Social Media Network customer bases on the web but they now plan to start charging everyone an average of $10/month/network from July 2010 ! I imagine they are assuming that their revenue will to go from £0M to £100M within the year – this may well be true – provided of course that enough of their customers don't switch to alternatives to NING such as VOX, WebJam or WetPaint than continue to be FREE OF CHARGE ! You can read aout all the new non-free NING pricing plans @ http://about.ning.com/announcement/plans.php ! This entry was posted in osde and tagged bmn, business media network, ning, smn, social media network, vox, webjam, wetpaint on 04/05/2010 by osde8info. pixelpipe (bmn & smn uploader for androids and firefox) support is available on getsatisfaction if you are having problems with pixelpipe such as it losing tags when uploading to vox. This entry was posted in osde and tagged bmn, customer service, getsatisfaction, pixelpipe, smn, technical support, uploader, web 3.0 on 01/05/2010 by osde8info.